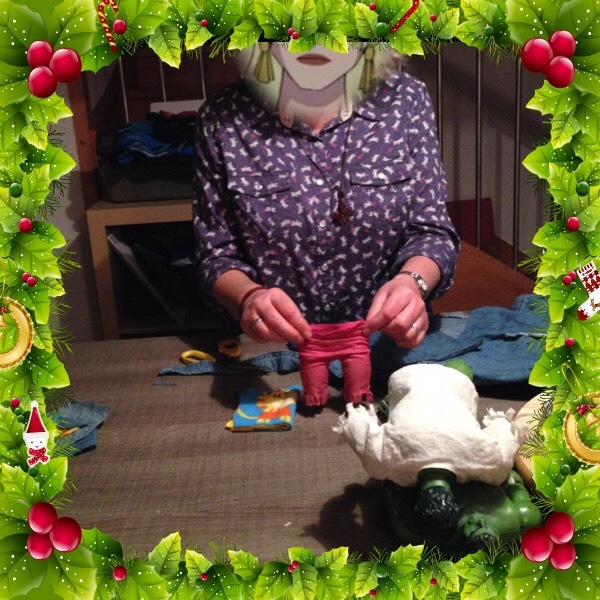 Scifi mother in law (my Mum) got dragged into making new trousers for Hulk. Yes we have more than one Hulk – who doesn’t. And those of you who looked at this picture and sniggered at two Hulks ‘shagging’ need to join Scifi hubby in the naughty corner.